Hiring a reputable import agent or distributor is a popular first step for SMEs entering the Japanese market for the first time. Using a distributor or re-seller to take care of product localisation, in-country marketing and to provide technical support can be a cost effective route to market for firms dipping their toes into the Japanese market for the first time. Most Japanese people prefer to do business with someone they have met face-to-face and have established rapport and a level of trust with. Using the strong relationships built by agents and distributors with their customers over many years can help UK companies quickly expand their sales network. 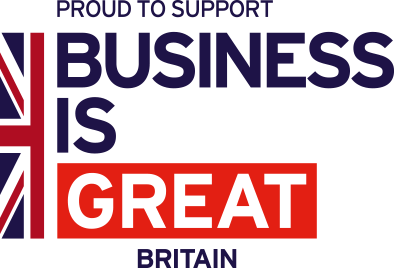 In addition, using third parties such as DIT Japan, JETRO, Trade Associations, Chambers of Commerce, other Japanese companies or other UK companies who have successfully done business in Japan for introductions can accelerate the relationship building process as they are effectively vouching for you to your Japanese counterparts. Distributors in Japan usually cover a specific territory or industry and importers are often appointed as sole agents for the entire country. Exclusive distribution agreements may be used to encourage loyalty and strong commitment from a Japanese agent. While the Japanese Fair Trade Commission has guidelines applicable to exclusive agency contracts, there are no statutory damages required upon termination of an agency agreement. However, given the close-knit nature of business circles and the traditional wariness towards foreign suppliers in Japan, replacing an agent or distributor could damage a UK firm‘s reputation – and even compromise its entire market strategy – if not handled sensitively. Japanese agents may request “parting compensation” in the event the UK exporter decides to dissolve the distribution agreement. Since this is common practice in Japan, UK companies should address this eventuality prior to signing a contract. UK companies should ensure comprehensive due diligence is carried out prior to the signing of any distribution agreements. In addition, UK firms should check whether the distributor handles competing lines, is restricted to operating in a particular industry group (keiretsu) or has any other potential conflicts of interest. Another important consideration is sales commissions paid to agents and distributors. Under an agency contract, the supplier normally invoices the agent for the same amount that the agent will sell to the customer (”back-to-back”). The supplier then pays a sales commission to the agent at the percentage provided in the agency contract or agreement. Under a distributorship contract, the supplier sells the product to the distributor, who then adds a markup which determines the final sales price to the customer. Commission rates vary according to the product and contract terms. Once an agent or distributor agreement is signed and the UK company‘s products gain a foothold in the Japanese market, the UK company may want to establish a representative office in Japan to support the distributor’s sales and marketing efforts.